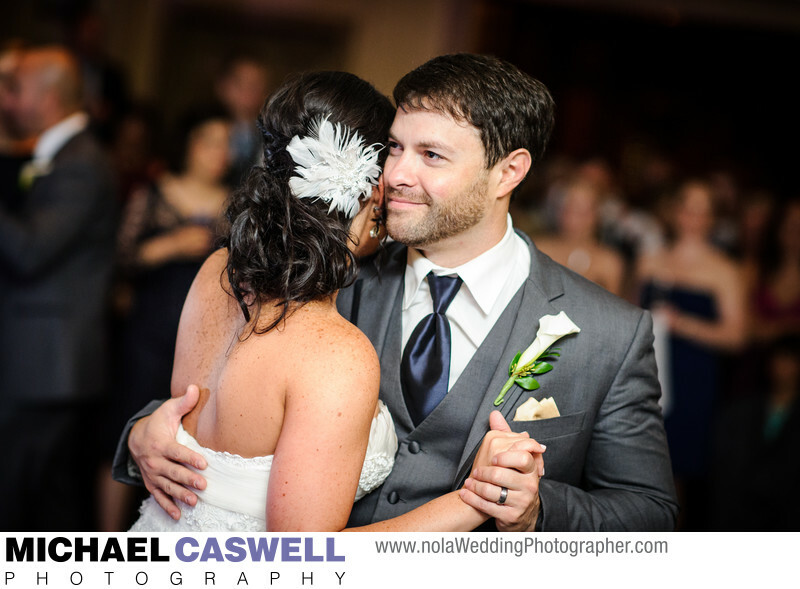 After their wedding ceremony at Saint Louis Cathedral, this bride and groom and their guests were led on a fabulous second line parade through the French Quarter, ending up across Decatur Street from the Cathedral for their reception at Pat O's on the River. This venue, located inside the historic New Orleans landmark Jax Brewery, is spacious, beautiful, and features great food as well as a fantastic view of the river. There is ample space for larger weddings, and if a lesser amount of space is needed, one of the rooms can be closed off. Additionally, this venue can host wedding ceremonies. Usually when this is the case, one of the rooms will be configured for the ceremony, while the rest of the facility us set up for the reception. Location: 600 Decatur St, New Orleans, LA 70130.